Another great performance at right back from O'Nien. Caused problems going forward, showed some classy touches - but perhaps shone most at the back, in particularly a sparkling block in the dying moments of the game (it is likely McLaughlin had a decent chance of saving it mind, but O'Nien wasn't to know that). One negative, we absolutely have to lower the tempo of his new chant, everyone's trying so hard to keep up it sounds like 'looka nine', need those extra milliseconds to give those vowels the attention they need. What a delightful finish it was for the winner. Not going to lie, I thought he scuffed the shot from my view in the stands but watching it back, it's a sumptuous finish and one which highlights why we paid what we did for his services. We had a few callouts in the comments to see more of him and Charlie Wyke up top together, though thinking back to the Accrington Stanley game at home that went disastrously last time we tried it. In fairness to Wyke, he looked very comfortable coming into a system which didn't simply lump balls at his head incessintently. I thought it was a bit strange to see Jimmy Dunne benched. I know only a few Sunderland fans have warmed to his arrival, but he has been at the heart of our defence in our previous five competitive matches, during which we only conceded one goal. Flanagan had a tough start to the match, and so it is not surprising to see him bottom of the ratings. 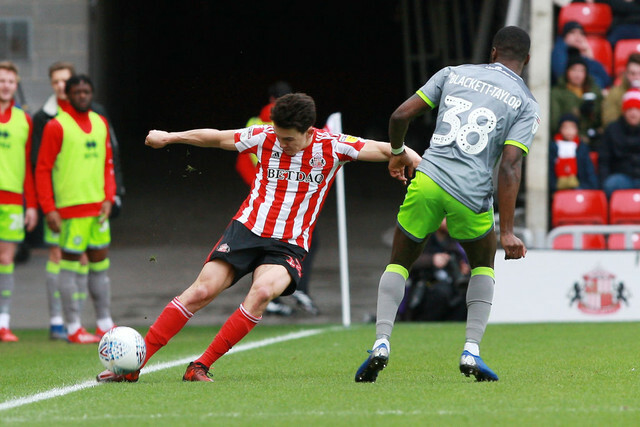 Grant Leadbitter (6.6), Aiden McGeady (6.6), Jon McLaughlin (6.6), Lee Cattermole (6.5), Lewis Morgan (6.2), Max Power (6.1), Jack Baldwin (6.0), Adam Matthews (5.6).